This attachment is for the Bobcat MT-85. 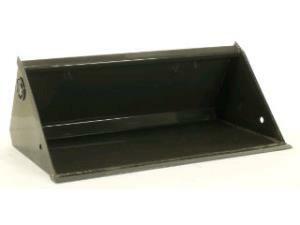 The standard flat bucket is ideal for moving top soil or mulch, allowing you to spread and level with ease. Other applications include snow removal, debris removal and dumpster loading, and general grading. * Please call us for any questions on our bucket 36 inch standard mt85 rentals in Hillsdale and Ridgewood NJ.